Items of silverwork by the Cutch firm Oomersi Mawji & Sons have become the most sought after items of Indian colonial silver. 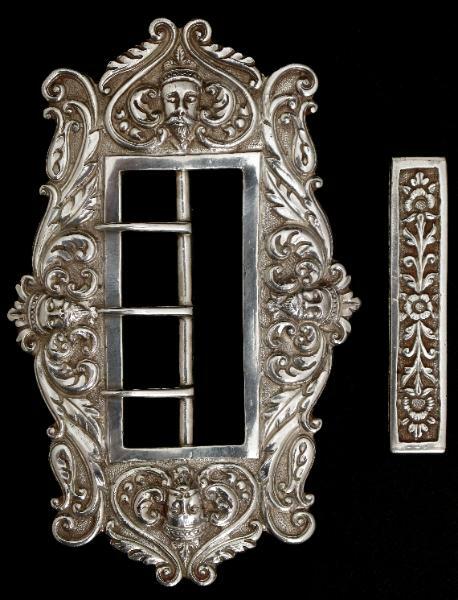 Rarely are belt buckles by this firm encountered. 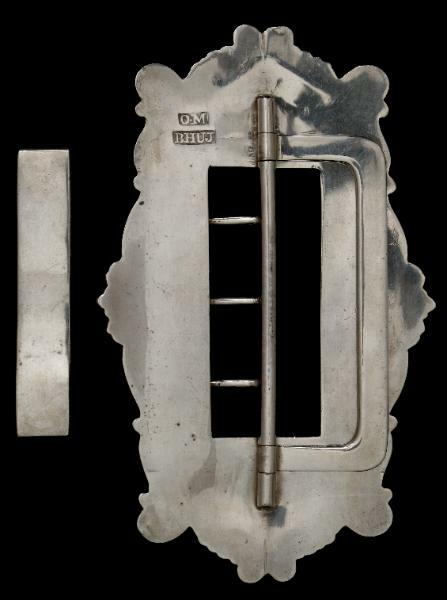 The buckle is accompanied by a rectangular belt holder decorated in a typically Cutch manner.